The official download link of Web Platform Installer (Web PI) https://www.microsoft.com/en-us/web/downloads/platform.aspx is broken for a few days. If you search via google or Bing, you might essentially get a broken link like me. 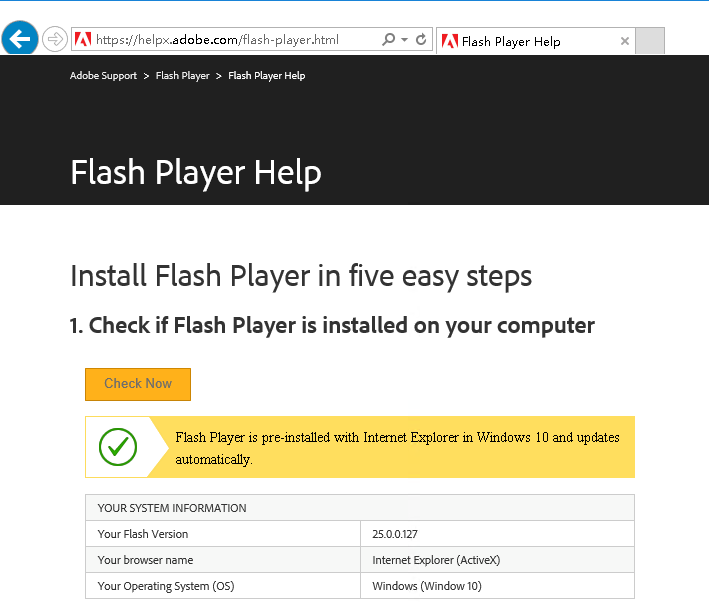 Microsoft Edge is the new default browser in Windows 10. If you upgrade from a previous version of Windows, your default browser will be set to Edge. In Windows 10, Disk Cleanup Wizard is integrated into new Storage Sense app, which can be launched via Settings>System>Storage. The new Storage Sense app brings more space cleanup features. 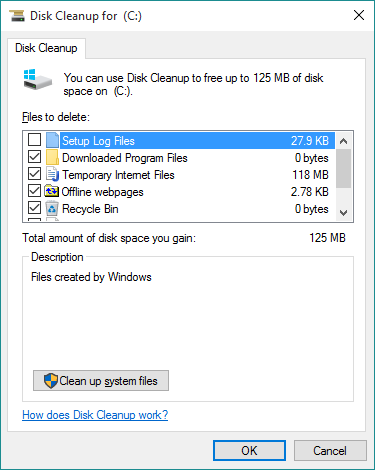 However, the new Storage Sense app is very slow, if you just want to perform quick cleanup like old Windows, you can find legacy Disk Cleanup Wizard by searching for cleanmgr in task bar. In the Search box, type Add a language, and then tap or click the result Add a language to open it. In the Language dialog box, tap or click Add a language. Scroll to select the language you want from the list, or use the search box to search for a language. 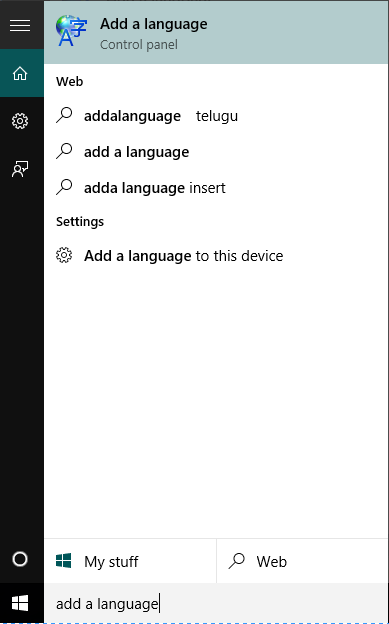 Tap or click the language you want to install, and then tap or click Add. To add the language as a display language, tap or click Options. If a language pack is available for your language, tap or click Download and install language pack. 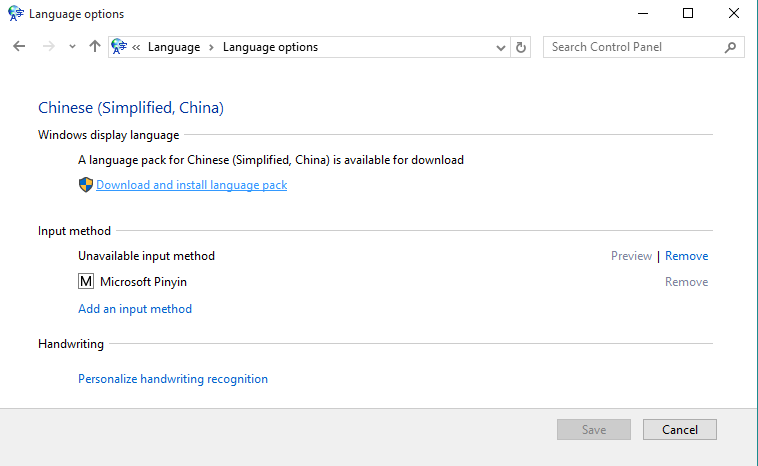 To switch to the newly installed display language, you’ll need to make it your primary language by clicking Make this the primary language. Note: To change windows display language, you’ll need to log off of Windows, and then log on again for the change to take effect.